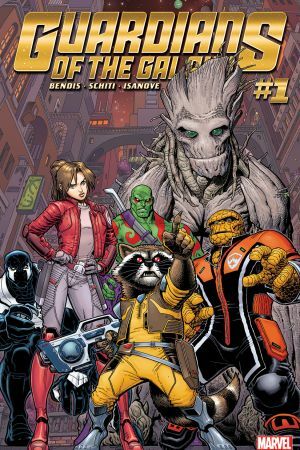 While they aren’t the first incarnation of the Guardians of the Galaxy (and not the last either), it’s pretty fair to say the most well-known iteration of the team consists of Peter Quill (A.K.A. Star-Lord), Gamora, Drax, Rocket, and Groot. Those five have found their way into the hearts of fans worldwide. However, the comics have made some great additions to this roster over the years. 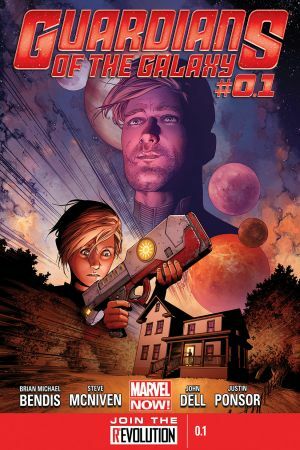 While Peter Quill might be half-Spartan, he was born on Earth. But he’s not the only member of the team that originated on the third rock from the sun. Here are five of the most magnificent earthlings (in no particular order) that can have called themselves Guardians. Tony Stark was stuck. Unable to think of new armor designs, Tony decided the best way to come up with original ideas to protect the Earth was to explore well beyond it. Using a new space armor and a new A.I. called P.E.P.P.E.R., Tony joined the Guardians as a way to learn about what’s “out there” so he could find inspiration for new versions of the Iron Man armor. Iron Man was an asset to the team especially when it came to the Badoon invasion that brought them together in the first place. 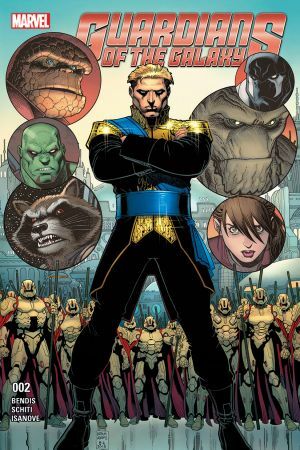 He left the group in issue #11 following the INFINITY event, choosing to stay and help the Avengers protect earth from the Mad Titan. After suffering severe brain damage following a battle with Yon-Rogg and the Kree, Carol went out into the spaceways as a way to “find herself” again. Her odyssey led to her helping Star-Lord expose J’son, his father and the king of Spartax, for the corrupt and unjust ruler that he was. 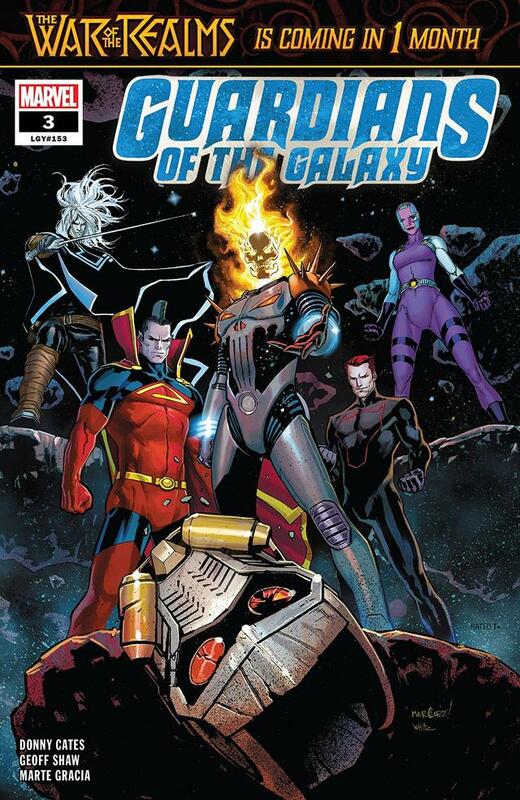 Even though Captain Marvel’s stint with the Guardians was a short one, it created a lasting friendship between Earth’s Mightiest Hero and the Guardians, who would later assist Marvel during the second Super Hero CIVIL WAR. After what he thought was the loss of his de facto family Reed and Sue Richards at the end of 2015's SECRET WARS, there was no more Fantastic Four for Ben Grimm. However, it seemed that being part of a team was always going to be ingrained in his DNA (right next to the cosmic ray-mutated elements that make him the Thing, of course). Joining a team of Guardians led by the X-Men’s Kitty Pryde, Ben eventually left after they were stranded on Earth following CIVIL WAR II to watch over a “new” Victor Von Doom. Grimm’s time with the Guardians was not quickly forgotten, as having a member of Marvel’s first family taught the team how to better work together. When the Avengers wanted to maintain a relationship with the Guardians, they assigned Flash Thompson, A.K.A. Agent Venom, as Earth’s representative. Thompson fit into the team well, developing an immediate friendship with Drax. During his tenure, he discovered more about his symbiote companion, a member of the Klyntar race. He also became an Agent of the Cosmos, helping planets in need of assistance when he was not traveling with the Guardians. Having formed a bond with an alien symbiote, it made perfect sense that a good-willed soldier like Flash would want to visit the spaceways, helping as many people, planets, and races as he could. And if it weren’t for the Guardians, he wouldn’t have gotten that chance. In a perfect example of the phrase “didn’t see THAT coming,” Kitty Pryde was engaged to Star-Lord for a time. Like most long-distance relationships, their romance was a roller coaster. When Peter became ruler of Spartax, Kitty took his place not only as a member of the Guardians of the Galaxy, but took on the mantle of Star-Lord as well. 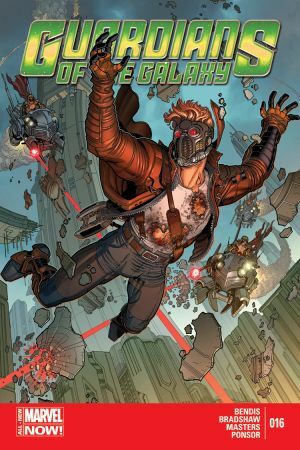 For eight months as Star-Lord, she was on a team led by Rocket and featuring fellow “Earthers” Ben Grimm and Flash Thompson. Peter and Kitty’s relationship soon came to an end, with Kitty leaving the team at the end of CIVIL WAR II to become the leader of the X-Men and Peter once again taking on the role of Star-Lord. 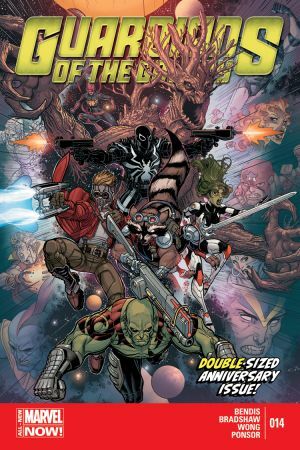 Read GUARDIANS OF THE GALAXY #3 at your local comic shop next Wednesday, March 20!